Sawchuk, Joe. "Social Conditions of Indigenous Peoples in Canada". The Canadian Encyclopedia, 13 June 2018, Historica Canada. https://www.thecanadianencyclopedia.ca/en/article/native-people-social-conditions. Accessed 23 April 2019. The social conditions of Indigenous peoples in Canada vary greatly according to place of residence, income level, family and cultural factors and classification (i.e., First Nations, Métis and Inuit). Areas of particular social concern include housing, employment, education, health, justice, and family and cultural growth. 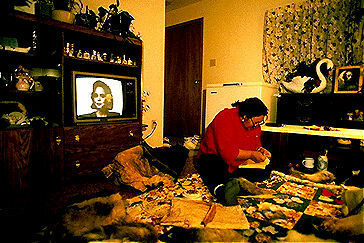 Inuk woman sewing caribou clothing. Image: Corel Professional Photos. Historically, the federal government has been responsible and provided funding for nearly all the social programs and services provided to Indigenous peoples in Canada. First Nations peoples registered with Indian status receive federal funds for social programs on reserves through the Indian Act. The funding is directed to First Nations band administrations — bodies that are either elected or chosen through traditional means and are responsible for the operation of reserves. Non-status First Nations and Métis peoples have received funding through the Office of the Federal Interlocutor (OFI) to assist with economic, social and political development. With the creation of the Department of Indigenous Services Canada in 2017, Métis and non-status First Nations peoples now receive funding through this new department. Federal and provincial Métis and non-status organizations also receive funding from various departments of the federal government, such as the Canadian Mortgage and Housing Corporation (CMHC), to provide social services such as housing. The Inuit were not recognized as a federal responsibility until a 1939 decision by the Supreme Court of Canada. 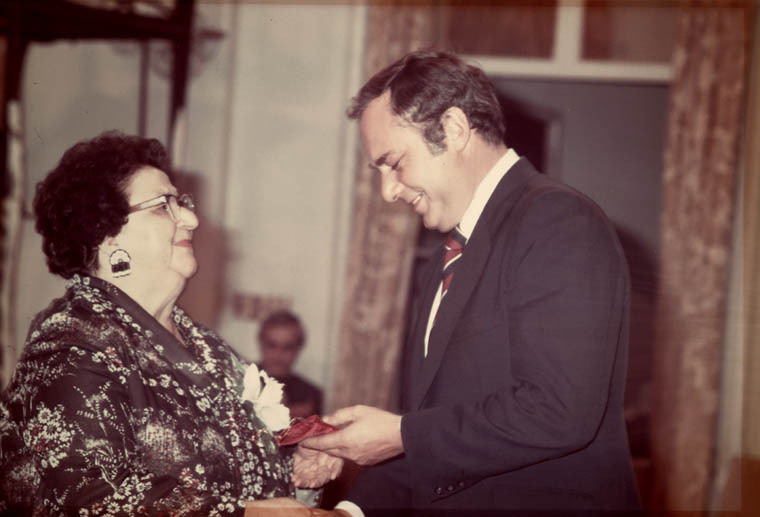 Since then, the federal government has been responsible for funding health care, some economic development, post-secondary education, and negotiating and implementing self-government agreements. National, provincial and territorial Indigenous representative organizations such as the Assembly of First Nations, Métis National Council, Congress of Aboriginal Peoples and the Inuit Tapiriit Kanatami often have mandates that include the improvement of social conditions, both on and off reserves, and represent or advocate for the interests of their members. Many of these organizations receive funding from the federal government. Modern cabin and tent (28 April 1997). Indigenous peoples live in all parts of Canada, from isolated northern communities and reserves to large urban centres. First Nations people may live on or off reserves and the reserves themselves may be isolated — more likely in the north — relatively near urban centres — more likely in the south — or within urban centres. According to the 2011 census, 49.3 per cent of First Nations peoples lived on reserves. The Indigenous population of Canada continues to be predominately urban. In 2011, 56 per cent of the total Canadian population lived in an urban area. In 2011, more than half of Canada’s Indigenous people lived in three provinces: Ontario (21.5 per cent), British Columbia (16.6 per cent) and Alberta (15.8 per cent). During this same period, metropolitan areas with the highest concentrations of First Nations and Métis peoples were Winnipeg (3.6 per cent and 10.2 per cent), Edmonton (3.1 per cent and 7 per cent) and Vancouver (3.7 per cent and 4.1 per cent). 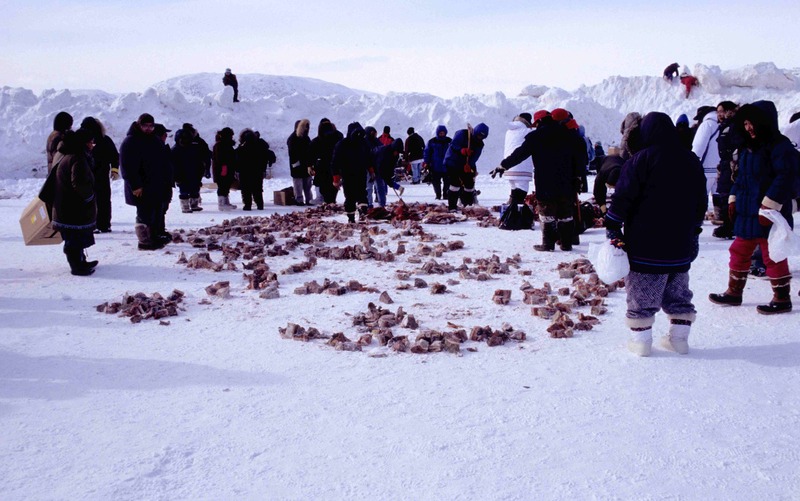 Like Indigenous peoples in southern Canada, the Inuit are also migrating to urban centres. In 2011, 37.5 per cent of Inuit reported living in large urban centres outside Inuit Nunangat — the Inuit homeland covering four regions across Labrador (Nunatsiavut), northern Québec (Nunavik), Nunavut and the Northwest Territories(Inuvialuit). This figure is up from 2006, when only 22 per cent of Inuit lived outside of Inuit Nunangat. In 2011, Nunavut was home to the highest concentration of Inuit (45.5 per cent of all Inuit), followed by Nunavik which is home to 18.1 per cent of the total Inuit population. In many contemporary northern communities, foods such as fruit, vegetables and milk must be transported long distances. The resulting high costs, limited availability and lower quality of the food is somewhat eased by the availability of “country food” — wild foods such as seal, caribou, duck, whale and fish. 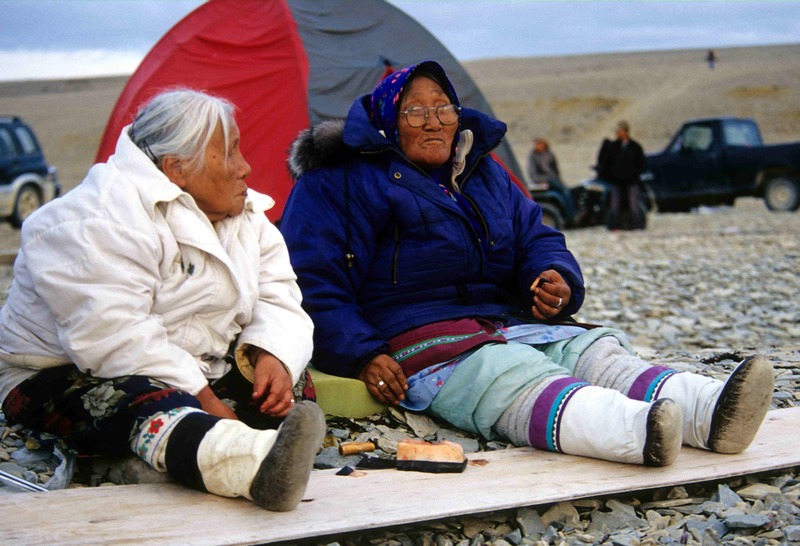 A 2005 report found that 68 per cent of Inuk adults in Inuit Nunangat harvested country food. Country food remains an important food source for many Inuit, with 65 per cent of households getting at least half their meat and fish from country food, and approximately 80 per cent of Inuit Nunangat families sharing country food with people in other households. The communal activities of harvesting, processing, distributing and preparing foods emphasize a traditional culture of co-operation. 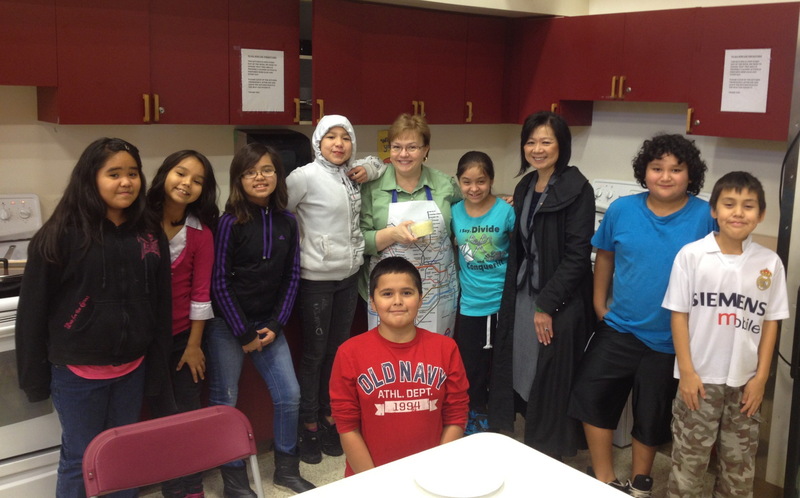 Former minister of Aboriginal Relations and Reconciliation Ida Chong with students of L\u00c1U,WELNEW Tribal School in their home-economics classroom (23 November 2012). In 2011, the rate of employment for Indigenous peoples in Canada (62.5 per cent) was lower than the non-Indigenous population (75.8 per cent). The rate for First Nations people (aged 25 to 64) was 57.1 per cent, 71.2 per cent for the Métis and 58.6 per cent for the Inuit. During this same year, Indigenous youth (aged 15 to 19) had an unemployment rate of 25.9 per cent compared to their non-Indigenous counterparts at 19.5 per cent. (See also Economic Conditions of Indigenous People). In comparison to non-Indigenous peoples, Indigenous peoples’ income tends to be below the Canadian average. In 2010, the median after-tax income for non-Indigenous people was $27,600 compared to just over $20,000 for their Indigenous counterparts. Indigenous people are also more likely to rely on social income assistance. In 2012–13, 33.6 per cent of on-reserve First Nations peoples received social income assistance, compared to just over 5 per cent of the Canadian population. In some Indigenous communities, social income assistance rates are higher than 80 per cent. Income levels for Indigenous peoples are directly linked to educational attainment levels. In 2011, 28.9 per cent of the Indigenous population aged 25 to 64 did not have a high school diploma or equivalent compared to 12.1 per cent for their non-Indigenous counterparts. Younger Indigenous peoples, those aged 35 to 44, are more likely to have a high school diploma (68 per cent) compared to those aged 55 to 64 (58.7 per cent). These figures are significantly lower than non-Indigenous peoples in the same age categories: 88.7 per cent and 79.5 per cent respectively. As of 2011, more Indigenous women aged 35 to 44 earned a college or university degree compared to Indigenous men in the same age category. However, more than twice as many Indigenous men aged 33 to 44 had received a trades certificate in comparison to Indigenous women (19.3 per cent and 9.9 per cent). Contemporary research has found that educational attainment rates and income are directly related. Therefore, Indigenous educational programs are crucial to closing the income gap between Indigenous and non-Indigenous wage earners. (See also Indigenous People: Education). Since the 1960s, the population of Indigenous peoples has steadily increased. (See also Demography of Indigenous Peoples). Changes to the Indian Act in 1985 helped to increase these numbers, as people previously denied status were able to reclaim their identity. In 2011, over 1,400,000 people, or 4.3 per cent of Canada’s population, identified themselves as one of Canada’s Indigenousgroups: 851,560 First Nations, 451,795 Métis and 59,445 Inuit. More than 74.9 per cent of First Nations people had Indian status. In 2012, there were 3,169 First Nations reserves, though not all were inhabited. 617 bands represent more than 50 nations and languages. In general, the Indigenous population represents one of the youngest age groupings in Canada. In 2011, the median age for Indigenous people was 28 compared to 41 for the non-Indigenous population. Therefore, as the general population in Canada ages, and focus shifts toward providing services for the elderly, the Indigenous community (both on- and off-reserve) will be concerned with providing educational opportunities and finding permanent employment for a comparatively young population. Much of the housing in Indigenous communities is inadequate and in need of repair. In 1977–78, 53 per cent of houses on reserves had minimum water service but within 20 years this had improved to 98 per cent. In 2011, 72 per cent of on-reserve homes received water services by pipe, 13.5 per cent by truck service, 13 per cent by individual wells and 1.5 per cent of homes did not have water service. That same year, 54 per cent of on-reserve homes had piped wastewater systems, 8 per cent had sewage hauled by truck, 36 per cent had septic and other individual wastewater systems, and 2 per cent of homes had no service. Despite high levels of water delivery, many communities face water contamination, and therefore water safety remains an important policy issue. In 2015, the CBC reported that between 2004 and 2014, two-thirds of First Nations peoples in Canada lived under at least one water advisory (a public health notice that the water is contaminated). In a well-known case in Ontario, experts reported that 90 per cent of the population of Grassy Narrows and Wabaseemoong First Nations showed signs of exposure to mercury from the Wabigoon-English River system. After much media attention and pressure from the First Nations and activists, the province promised to clean up the site. However, a report released in February 2017 by a team of scientists suggests that the river system is still being contaminated by an old chemical plant in Dryden, Ontario. Homes in need of major repair increased from 12,500 in 1997 to 23,800 in 2009. However, renovations to these homes decreased significantly from approximately 4,200 in 1997 to 2,700 in 2009. In 2011, a federal evaluation of First Nations housing stated that 41.5 per cent of on-reserve households required major renovations, compared to only 7 per cent of non-Indigenous households. Mould, bug infestations, inadequate heating and contaminated water are just some of the issues that plague First Nations peoples living on reserves. One factor that contributes to homes needing major repairs is overcrowding, which causes excess wear and tear. In 1996, approximately 18.1 per cent of on-reserve homes were overcrowded compared to approximately 1.9 per cent of non-Indigenous homes and 4.2 per cent of off-reserve Indigenous homes. Although improvements have been made, in 2006, on-reserve rates of overcrowding were significantly higher compared to non-Indigenous homes and those living off-reserve (12.1 per cent, 1.7 per cent, and 2.1 per cent respectively). In 2011, a federal report showed that the construction of about 20,000 to 35,000 new homes would meet the demand for housing on reserves. The Assembly of First Nations argued that 85,000 is a more accurate and realistic figure. To put these numbers into perspective, in April 2016, the Toronto Starreported that Attawapiskat First Nation in Ontario has about 2,100 residents but only 340 homes. This means that more than one family often reside in the same household. Some houses hold up to 13 people. The federal government provides housing units and repairs to existing houses on reserves with the cooperation of the Canadian Mortgage and Housing Corporation (CMHC), although it maintains it has no legal or treaty obligation to do so. From 2001 to 2006, the federal government and CMHC subsidized the construction of 3,544 new homes and the renovations of 4,098 existing homes for Indigenous people on reserves. A 2007 research report estimated that in 2001 First Nations communities required approximately 5,000 new homes to replace homes deemed uninhabitable, 24,000 new bedrooms to address overcrowding, and an additional 11,000 homes to address the problem of “doubling” (i.e., two or more families residing in a single home). In 2016, the federal government promised to build 300 new homes on reserves — an amount that some politicians and many First Nations argue is inadequate. Historically, housing subsidies for on-reserve First Nations communities have been administered by government and other agencies, such as the CMHC, but those homes were often poorly constructed and not built to code. Homes built on reserves with federal money have since 1983 been required to adhere to the national building code, but code enforcement is done by band councils, and is not subject to external verification. Therefore, many homes may not meet standards. On-reserve housing has an approximate life span of 15 to 20 years, less than half the national average. High population growth and decreased home suitability in many cases outpaces investment in repairs or new construction, therefore housing shortages on most reserves remain a major problem. Low housing suitability is a major factor in pushing First Nations people to off-reserve housing. However, off-reserve housing is not guaranteed to be suitable; in 2011, 21.5 per cent of the total Indigenous population in Canada lived in residences requiring major repairs — both on and off reserve — compared to 7.4 per cent for the non-Indigenous population. 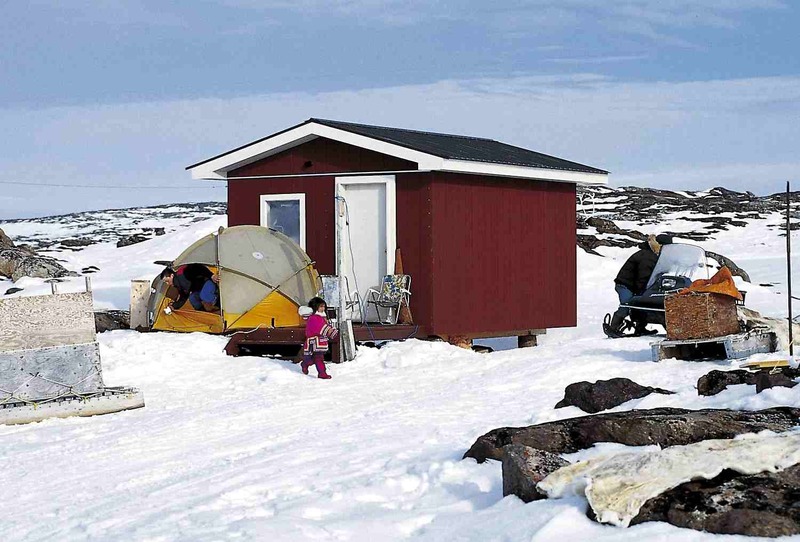 Similar housing programs are in place for the Inuit, while other programs, often administered by provincial Métis and non-status political organizations, provide subsidies for Métis and non-status peoples. Provision of services to remote communities — both reserve and non-reserve — is naturally dependent on accessibility by road or rail, which continues to be a challenge. Only about one third of reserves have year round road access, others rely on combinations of rail, road, and water access. Electricity is available in the large majority of Indigenous communities and reserves — about 90 per cent — and there has been gradual improvement in other utilities, though shortcomings in central heating, water, sewage and fire protection are faced at a higher rate than the rest of Canada. Some Indigenous communities have decided to address housing concerns themselves by adopting micro-housing programs. Many argue that the construction of small homes (often called “tiny houses”) can work to combat homelessness on reserves. Compact homes are affordable and sometimes even mobile. In 2016, Opaskwayak Cree Nation in Manitoba piloted a project called One House, Many Nations to address housing concerns in the community by building houses measuring about 3.2 m by 3.2 m (10 feet by 10 feet). However, operations such as this require funding outside the government in order to function, an issue that may inhibit many First Nations from piloting similar projects. The overall health of Indigenous people has improved in recent years; however, it continues to lag behind the overall population. In 2009, the life expectancy for Canadian women was 83 years of age compared to 79 years for men. Between 1980 and 2001, life expectancy at birth for registered Indigenous men increased from 60.9 to 70.4 years and for registered Indigenous women from 68 to 75.5 years. Health Canada reported in 2001–2002 that the leading causes of death among registered First Nations peoples were external causes (accidental poisoning, vehicle accidents, and intentional self-harm), diseases of the circulatory system (hypertension, cardiovascular disease), and neoplasms (various types of cancer). Suicide rates for Indigenous peoples in Canada have for some time been much higher than those of the general population. A 2000 study found that suicide and self-inflicted injuries were the leading causes of death for First Nations people below 45 years of age. Suicide rates among First Nations youth are around 5 to 6 times the national average, while Inuit youth rates are approximately 10 times the national average. The causes for such high rates of suicide are multiple and may include depression due to social, cultural, or generational dislocation; drug and substance abuse; or lack of housing, food, and access to opportunity. In small or isolated communities, youth suicides may be particularly traumatic and may lead to “suicide clusters.” (See also Suicide among Indigenous Peoples in Canada). Infant mortality rates among Indigenous peoples are approximately 1.5 times higher than the national average (see Population). In Nunavut, where the great majority of the population is Inuit, the infant mortality rate was more than triple that of the national rate at 16 deaths per 1,000 live births in 2008. Improved water and sewage facilities have, at least in part, helped to reduce infant mortality and improve the general health conditions among Indigenous peoples. Improvements in health are also due to better control of infectious disease, improved living conditions and better access to medical technology and services. However, challenges such as overcrowded living conditions and inadequate housing remain. Increased urbanization of the Indigenous population has also resulted in a greater incidence of diseases characteristic of modern society, such as cardiovascular disease, cancers and mental health problems. Rates of HIV/AIDS have steadily increased. In 2008, of those who reported ethnicity, Indigenous peoples accounted for 8 per cent of all HIV cases in Canada and 12.5 per cent of new infections. Also of concern is the tuberculosis rate; Indigenous people accounted for 21 per cent of all cases, while Canadian-born non-Indigenous people accounted for just 13 per cent. Indigenous people are over-represented in the criminal justice system as offenders and inmates, and under-represented as officials, officers, court workers or lawyers. Research has shown the high crime rate among the Indigenous population is a result of the effects of the residential school system, experience in the child welfare system, effects of the dislocation and dispossession of Indigenous peoples (see Sixties Scoop), family or community history of suicide, substance abuse, victimization (see Highway of Tears), lower educational attainment, poverty, poor living conditions, and exposure to/membership in street gangs. Several social factors have contributed to the over-representation of Indigenous people in the justice system. 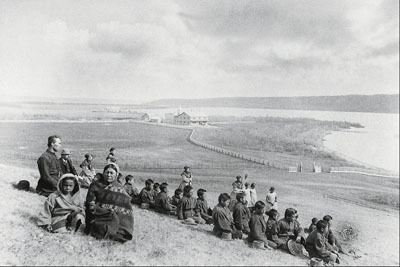 A history comprised of dislocation from traditional communities, disadvantage, discrimination, forced assimilation including the effects of the residential school system, poverty, issues of substance abuse and victimization, and loss of cultural and spiritual identity are all contributing factors. (See also PTSD: Intergenerational Transmission of Trauma). In 1996, the Criminal Codewas amended to address the problem of Indigenous over-representation within the justice system. One amendment was 718.2(e), which allows judges to examine alternatives to imprisonment which are reasonable for the circumstance for all offenders “with special attention to the circumstances of Aboriginal offenders.” To date, many Indigenous-directed alternatives to incarceration in correctional facilities are being developed, including healing and sentencing circles (see R. v. Gladue). Such treatment involves traditional healing methods rather than punishment by imprisonment, with an emphasis on helping both the victim and offender. However, there are still many questions surrounding the unfair and inhumane treatment of Indigenous peoples in modern jails. Adam Capay of the Lac Seul First Nation spent 23 hours a day alone, for four years, from 2012 to 2016, in solitary confinement, as he awaited trial on a murder case. According to the United Nations, 15 consecutive days of solitary confinement is a form of torture. The death of artist Moses Amik Beaver on 15 February 2017 while he was incarcerated also garnered media attention because the details surrounding his confinement and death are still unclear. Beaver suffered from mental illness, and Chief Johnny Yellowhead from the Nibinamik First Nation has questioned why Beaver was not given a psychiatric assessment. (See also Indigenous People: Justice and Law of Indigenous People). Because existing police forces are not always aware of the cultural differences and needs of Indigenous communities, Indigenous people began to develop their own police forces in the 1970s and 1980s. Indigenous police recruitment programs helped the RCMPand other police forces to add Indigenous constables to their staffs. In 1991, the federal government introduced the First Nations Policing Policy in order to meet the needs of Indigenous communities. By 2012–13, there were 396 Indigenous communities in Canada with dedicated police services employing 1,261 police officers. On 1 March 2017, Brenda Butterworth-Carr of the Tr’ondek Hwech’in Han Nation became the first female Indigenous commanding officer of the BC RCMP. Statistics on Indigenous family structure are particularly difficult to interpret because definitions of family, and of what comprises a family unit, differ greatly from culture to culture. Canadian census-based data are naturally based on the dominant culture’s sense of what comprises a family unit, a sense that may not be consistent with Indigenous peoples’ ideas of family, where extended family support systems are common. Therefore, the figures for “single-parent families on reserves” may be misleading in terms of actual household composition and how children and adults interact within these arrangements. In 2011, the majority of Indigenous children aged 14 and under (50 per cent) lived with both parents, while 28 per cent lived with a lone mother and 6 per cent with a lone father. In addition, 3 per cent of Indigenous children lived with a grandparent (with no parent present) and 1 per cent lived with another relative. Indigenous children were also twice as likely as non-Indigenous children to live in multiple-family households, in 2006. For example, 18 per cent of Inuit children lived in a household that was home to more than one family, compared with 4 per cent of the non-Indigenous population. One-third of Métis families were single-parent families, contrasted with 14 per cent of the non-Indigenous population. Since the 1960s, a large number of Indigenous children have been placed in care by social agencies (see Sixties Scoop). In some instances, children were taken because of misunderstandings regarding Indigenous family practices and the values of non-Indigenous social workers. 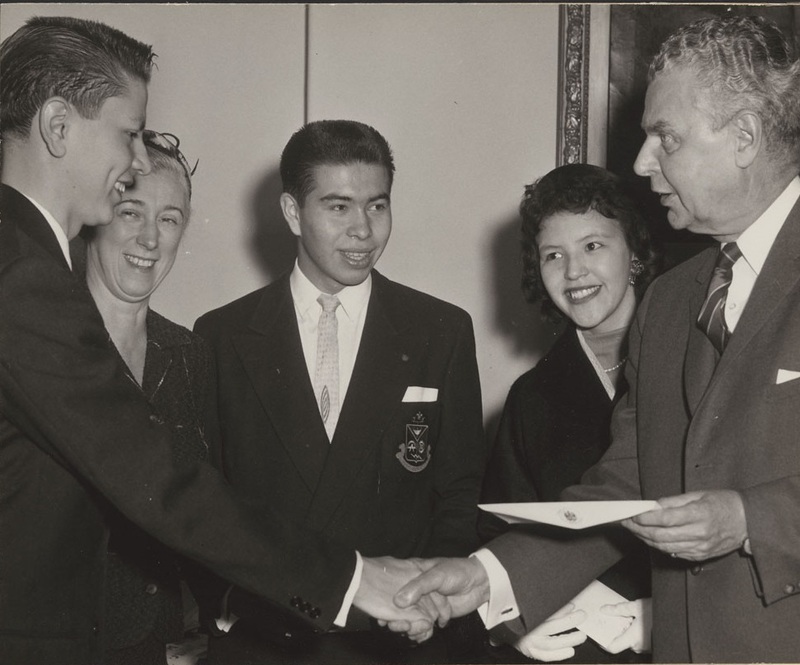 In 1951, Indigenous children represented 1 per cent of all the children in care in British Columbia. However, in 1964 this figure climbed to over 34 per cent. By the 1980s, a report issued by the Canadian Council on Social Development found Indigenous children in care were over-represented and accounted for 60–70 per cent of all children in care in Saskatchewan, 50–60 per cent in Manitoba, and 40–50 per cent in Alberta. In 2003, approximately 30–40 per cent of children in foster homes across Canada were Indigenous children. Indigenous children in care are adopted less frequently than non-Indigenous children, and are more likely to be adopted into non-Indigenous families. The disproportionate placement of Indigenous children in non-Indigenous foster homes has been damaging to both individuals and communities. Indigenous people and Canadian society in general are coming to terms with the results. A study by Bagley (1991) showed that Indigenous teenagers adopted by non-Indigenous families were far more likely than other adopted children, including those adopted from other countries, to have behavioural and emotional problems. Research from the early 2000s expresses concern about damaged self-esteem and identity confusion that develops from mixed-cultural adoptions. Cultural factors can significantly affect social conditions. Culture is crucial for learning and maintaining a strong ethnic identity. Many Indigenous peoples across Canada continue to participate in traditional activities such as hunting, fishing and trapping. Some have suggested that traditional values such as sharing, non-competitiveness and restraint support people in traditional settings, but may conflict with the non-traditional values of the dominant society, and therefore hinder integration. While integration may not be the goal, the promotion and revival of such cultural values may in fact hold the key to the improvement of social conditions through indigenous self-determination initiatives. Progress with respect to social conditions is being achieved. However, the gaps that persist between the social and economic conditions of Indigenous people in Canada and those of the general Canadian population continue to pose challenges. The well-being of all people is determined by a combination of social conditions including health, income, social support, education, employment, community, history and culture. Dispossession of cultural traditions, social inequities, prejudice and discrimination have all contributed to the challenges faced by Indigenous people in Canada. Many communities are implementing community-based strategies stressing the importance of history and culture; governance, culture and spirituality; unique qualities and values; the link between self-government and economic development; and the role and importance of traditional economies. David Long and Olive Dickason, Visions of the Heart: Canadian Aboriginal Issues, 3rd ed. (originally published in 1996; 2016). Heather A. Howard and ‎Craig Proulx, Aboriginal Peoples in Canadian Cities: Transformations and Continuities (2011). Margo Greenwood, Sarah De Leeuw, Nicole Marie Lindsay and Charlotte Reading, eds., Determinants of Indigenous Peoples’ Health in Canada (2015). Marie Battiste, Reclaiming Indigenous Voice and Vision (2011).